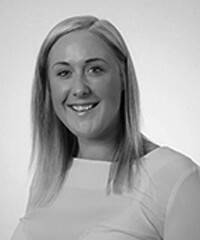 Ruth Peters joined Olliers Solicitors in 2005, qualifying as a solicitor in 2007 and since that time Ruth has gained extensive experience within all areas of criminal law. Ruth now deals in motoring law with a particular specialism in defending offences of drink driving and drug driving. Ruth regularly appears in courts nationwide helping clients navigate the often-intimidating court process. Ruth frequently represents clients at risk of disqualification under the totting up procedure and has an outstanding success rate meaning that the vast majority of her clients walk away from court with their licence intact. Ruth attributes this success to the extensive preparation undertaken in advance of every court appearance so that she is in a position to evidence all of the client’s particular circumstances. Ruth has additionally developed a particular expertise in defending alcohol related allegations. She has a detailed understanding of the various technical defences and legal loopholes available to clients and is able to scrutinise the prosecution evidence to establish exactly which defences are available in individual cases. She has an excellent knowledge of the different types of breathalyser devices used across England and Wales and the procedure and operation of each. Appealing entries which have been disclosed on an ‘Enhanced DBS’ Check. 2019 – Successful representations against inclusion on DBS Children’s Barred List in relation to self-employed music teacher. 2019 – Successful representations against inclusion on DBS Adult/Children’s Barred List in relation to teacher who received caution for child neglect. 2019 – Successful representations against inclusion on DBS Vulnerable Adult/Children’s Barred List in relation to individual cautioned for indecent images. 2019 – Successful representations against inclusion on DBS Vulnerable Adult Barred List in relation to care worker. 2019 – Successful application for removal of record of arrest on PNC relating to domestic assault. Confirmation biometric data also automatically deleted. 2019 – Successful application for removal of Fixed Penalty Notice (FPN) on PNC relating to drunk and disorderly. Confirmation biometric data also automatically deleted. Ruth also provides professional assistance and representation to those facing proceedings before the GMC or NMC from initial referral to the Interim Order Tribunal to, if necessary, full Fitness to Practice hearings before the MPTS. Ruth is currently a mentor with the University of Manchester, mentoring a second year law student who aspires to pursue a career in criminal law. 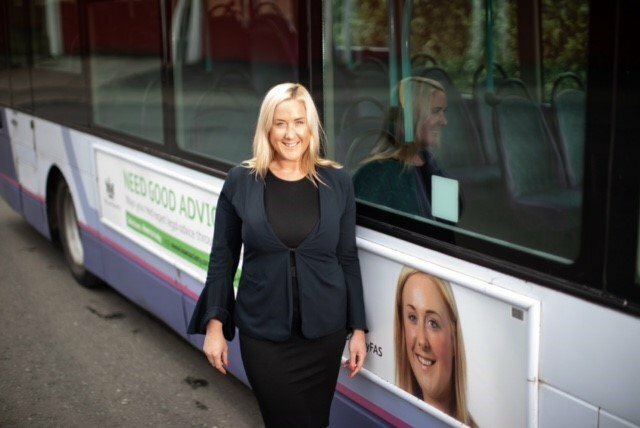 Ruth is currently one of the faces of the Law Society’s ‘Solicitor. Here to Help’ campaign encouraging member of the public to use solicitors and aiming to break down the perception that solicitors are out of reach for some people. 2019 – R –v–S Manchester Magistrates’ Court – not guilty verdict on driving with excess alcohol matter following successful disclosure argument. 2019 – R –v–K Willesden Magistrates’ Court – prosecution accept drunk in charge plea as opposed to driving with excess alcohol prosecution – driving disqualification avoided. 2019 – R –v–J Manchester Magistrates’ Court – not guilty verdict following trial for failing to identify driver following serious road traffic collision. 2019 – R –v– A Snaresbrook Crown Court – successful appeal against driving with due care and attention following a road traffic collision involving an elderly lady and a broken limb. 2019 – R –v– H Lavender Hill Magistrates’ Court – acquittal of defendant following allegation of using a mobile telephone. 2019 – R –v– H Manchester Magistrates’ Court – not guilty verdict in failing to identify driver allegation. Prosecution summonsed the defendant personally being the wrong legal entity. 2018 – R –v– G St Albans Magistrates’ Court – acquittal of defendant in drink driving allegation following successful disclosure application. 2018 – R –v– J – Merthyr Tydfil Magistrates’ Court – prosecution discontinued allegation of dangerous driving following defence submissions. 2018 – R –v– S Bromley Magistrate’s Court – acquittal of defendant in drink driving allegation following successful disclosure application. 2018 – R –v– W Aylesbury Crown Court – Successful appeal against conviction on drunk in charge allegations. Crown alleged appellant was supervising learner driver and accordingly was ‘in charge’ however no evidence of the same. 2018 – R –v– T Chester Crown Court – Successful appeal against conviction on excess alcohol allegation with various anomalies on device logs. 2018 – R –v– A Wimbledon Magistrates’ Court – Defendant found not guilty in relation to drunk in charge allegation on basis no likelihood of driving. 2018 – R –v– K Hendon Magistrates’ Court – CPS discontinued drink driving case prior to trial following service of defence expert evidence. 2018 – R –v– P Brighton Magistrates’ Court – Not Guilty verdict on drink driving case following successful application to exclude evidence in relation to analysis of blood sample. 2018 R –v– S Blackpool Magistrates’ Court – Prosecution offered no evidence on failure to provide blood sample case (drug driving) after defence expert evidence served. 2018 R –v– H Runcorn Magistrates Court- Prosecution offered no evidence after lengthy submissions in relation to hearsay evidence. 2018 R –v– R Westminster Magistrates Court – Prosecution offered no evidence following successful application to exclude evidence in relation to analysis of blood sample. 2018 R –v– P Willesden Magistrates Court- Defendant acquitted following successful disclosure application. 2018 R –v– G Milton Keynes Magistrates Court – Prosecution offered no evidence following successful application to exclude crucial evidence. 2018 R –v– C Corby Magistrates Court – Defendant acquitted on drink drive matter as a result of highlighting serious flaws in prosecution case. 2018 R –v– T Oxford Magistrates Court – Defendant acquitted on failing to provide a specimen allegation following representations regarding disclosure. 2018 R –v– C Trafford Magistrates Court – Prosecution ultimately offered no evidence in a drug driving case after successfully opposing an application to vacate on day of trial.